Erik de Kok, AICP, is a Senior Planner and Project Manager at Ascent Environmental, where he leads Ascent’s Climate Action and Sustainability Planning practice. He specializes in the preparation and implementation of climate action and adaptation plans, sustainability implementation plans, CEQA compliance strategies for climate action plans and other long-range plans, and community health risk reduction plans. 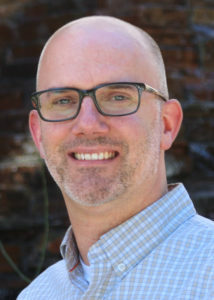 He currently serves on the Cal-Adapt Technical Advisory Committee, and is also an Executive Committee member of the Capital Region Climate Readiness Collaborative. The Capital Region Climate Readiness Collaborative (CRC) is a membership network encompassing the 6-county Sacramento Area. CRC is a coalition program of the Local Government Commission and a member of the Alliance of Regional Collaboratives for Climate Adaptation.